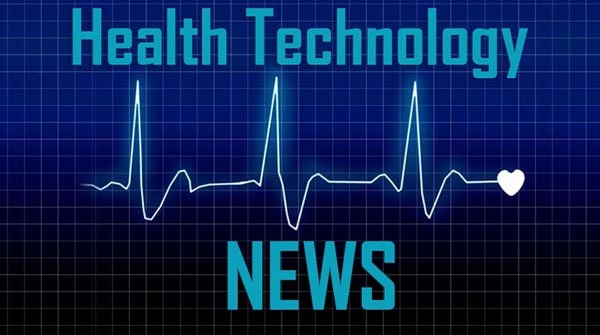 SAN CLEMENTE, CA / ACCESSWIRE / April 1, 2019 / ReShape Lifesciences Inc. (OTCQB: RSLS), a developer of minimally invasive medical devices to treat obesity and metabolic diseases, announced today that the company has successfully implanted its first patient in the ENDURE II trial designed to support CE Marking of the ReShape VestTM. The ReShape Vest is a minimally invasive non-anatomy changing obesity solution that restricts stomach volume without cutting, stapling, or removing the stomach. In a pilot study of 17 patients who were implanted with the ReShape Vest, early clinical results showed 85% excess weight loss at one year. The ReShape Vest is intended for morbidly obese patients with Body Mass Index (BMI) of between 35 and 55. “We are very excited with the start of the ENDURE II study and expect enrollment to progress quickly with this innovative, world-class technology,” said Dr. Jordi Pujol, Bariatric Surgeon at the Bellvitge University Hospital in Barcelona, Spain, where he is Principal Investigator for the ENDURE II trial. This press release contains forward-looking statements within the meaning of the Private Securities Litigation Reform Act of 1995. These forward-looking statements generally can be identified by the use of words such as “expect,” “plan,” “anticipate,” “could,” “may,” “intend,” “will,” “continue,” “future,” other words of similar meaning and the use of future dates. Forward-looking statements in this press release include statements regarding our expectation that enrollment in the ENDURE II trial will progress quickly and the anticipated CE marking for the ReShape Vest. These forward-looking statements are based on the current expectations of our management and involve known and unknown risks and uncertainties that may cause our actual results, performance or achievements to be materially different from any future results, performance or achievements expressed or implied by the forward-looking statements. Such risks and uncertainties include, among others: risks and uncertainties related to our acquisition of the Lap-Band system, including the risk of default under our security agreement with Apollo Endosurgery entered into in connection with the transaction; our ability to continue as a going concern if we are unable to improve our operating results or obtain additional financing; risks related to ownership of our securities as a result of our delisting from the Nasdaq Capital Market; our proposed ReShape Vest product may not be successfully developed and commercialized; our limited history of operations; our losses since inception and for the foreseeable future; our limited commercial sales experience; the competitive industry in which we operate; our dependence on third parties to initiate and perform our clinical trials; the need to obtain regulatory approval for our ReShape Vest and any modifications to our vBloc system and LAP-BAND system; physician adoption of our products; our ability to obtain third party coding, coverage or payment levels; ongoing regulatory compliance; our dependence on third party manufacturers and suppliers; the successful development of our sales and marketing capabilities; our ability to raise additional capital when needed; international commercialization and operation; our ability to attract and retain management and other personnel and to manage our growth effectively; potential product liability claims; the cost and management time of operating a public company; potential healthcare fraud and abuse claims; healthcare legislative reform; and our ability to obtain and maintain intellectual property protection for our technology and products. These and additional risks and uncertainties are described more fully in the Company’s filings with the Securities and Exchange Commission, particularly those factors identified as “risk factors” in our annual report on Form 10-K filed April 2, 2018 and subsequent quarterly reports on Form 10-Q. We are providing this information as of the date of this press release and do not undertake any obligation to update any forward-looking statements contained in this document as a result of new information, future events or otherwise, except as required by law.